This mixtape – the first in a series of three – focuses on electronic musicians and garage rock bands. Smart synthpop that waxes and wanes in expert fashion! There’s certainly a reason this band seems to be on the move throughout Europe. “Tranquility” has rambunctious drumming and vocals that are slightly reminiscent of a Yeasayer track, but it’s arguably more fascinating, due in part to a near-operatic underlying layers! Light-hearted electropop by a duo that simply loves electronic music and wants to have fun making it. Berndsen pays homage to ‘80s synthpop with “400 Trips.” His entire Lover In The Dark album, which came out in late 2009, does the same as well. Brothers Pétur Úlfur Einarsson and Ágúst Arnar Einarsson have created a masterpiece here, banking on a foundation of wicked manipulated vocals and electronic noise. Download four other tracks for free on Pornopop’s SoundCloud page. Leifur Eiríksson creates minimal electronic pop with overt hip-hop influences and calming mantras. This supergroup, comprised of Stilluppsteypa, DJ Musician, Jóhann Jóhannsson, BJ Nilsen and occasionally Curver, glides with “Free Magic Weed,” in an appropriately dubby, ambient way. With an almost grinding industrial feel, “Silly Idol Little Boy” creaks and groans mechanically every instrumental turn. Solo artist Björn Kristiansson, known more commonly as Borko, combines the best aspects of pop music with electronic minimalism, to great success, in this lonesome and haunting track. Here, the mixtape splits and shifts to capture Iceland’s more raucous side. Reykjavík! (or sometimes Reykjavik! 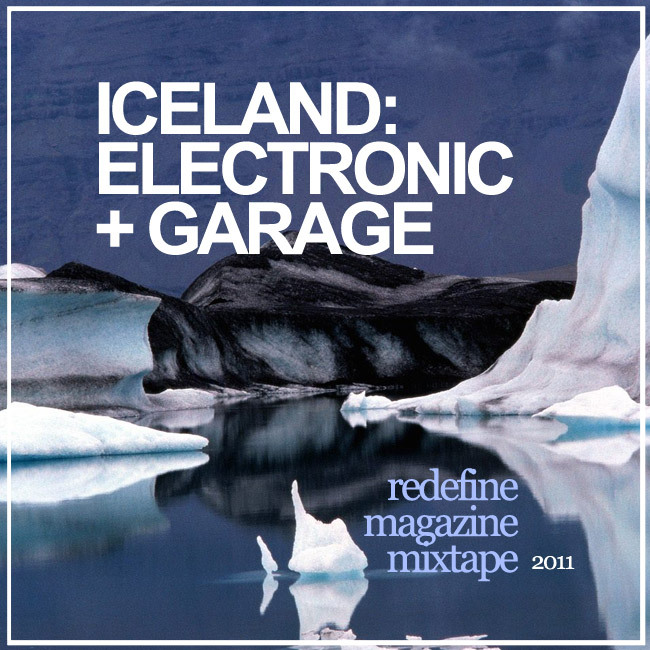 without the í) came highly recommended by a host of other Icelandic musicians, and for good reason. In “Svefnsykt,” this co-ed five-piece combines post-punk influences with female vocals, for frenetic, explosive results. IKEA SATAN has quite a name, but it captures the band’s core nature, which splits between the accessible and the heavy. Kimono doesn’t really care about conventions, and certainly cram a lot of sonic information into 3 minutes and 20 seconds. As a five-piece indie pop band, Múgsefjun is influenced plenty by folk rock, which always results in a fascinating listen, with songwriting creativity brimming throughout. Boogie down with Maggi Lego, aka Hunk Of A Man, a self-professed “Captain Of Love.” If your disco self were ever to look for one, here would be a good place to start.